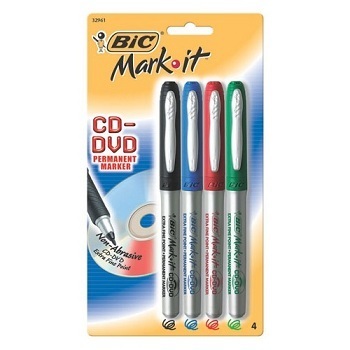 Specialist marker with non-abrasive tip perfect for marking on CD-DVD's. 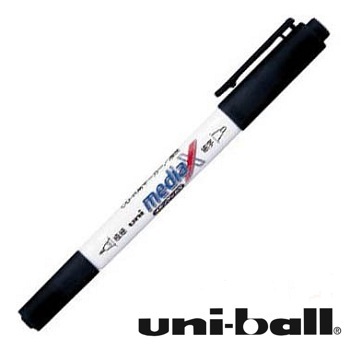 Comfortable rubber grip with fade resistant and quick drying ink reduces smearing. 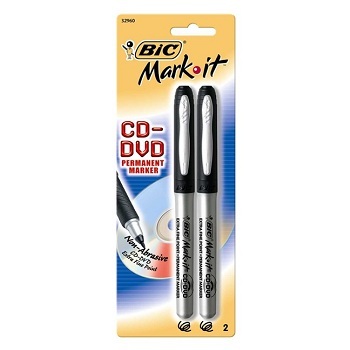 Durable Extra Fine point permanent markers. 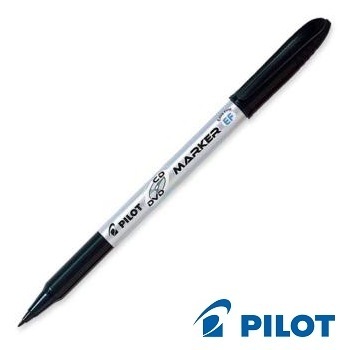 The Pilot BegreeN CD/DVD Marker is a permanent marker suitable for writing on CD's and DVD's. 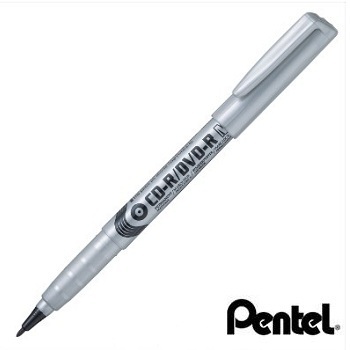 It features quick drying ink and a fibre tip for comfortable writing. Made from a minimum of 70% recycled materials reclaimed from manufacturing. Extra Fine point permanent markers. Box of 10 Black markers. Quick drying, permanent ink is Xylene and Toulene Free. Marks almost all surfaces. Environmentally friendly product contains 89% recycled material content. Fine Bullet 2.0 mm point pen-style permanent marker gives approx. 1.0 mm line width.